Tuesday night is Trivia Night at Susan Lew’s Emerald Chinese Cuisine. But Wednesday will have a different flavor as San Diego Republicans gather to savor the second GOP presidential debate. A straw vote is planned at the free event, according to the invitation page. The party starts at 4:30 p.m., and reservations are requested. Emerald — at 3709 Convoy St. in Kearny Mesa — is one of two restaurants owned by Lew — the other being Pearl Chinese Cuisine in Rancho Bernardo. 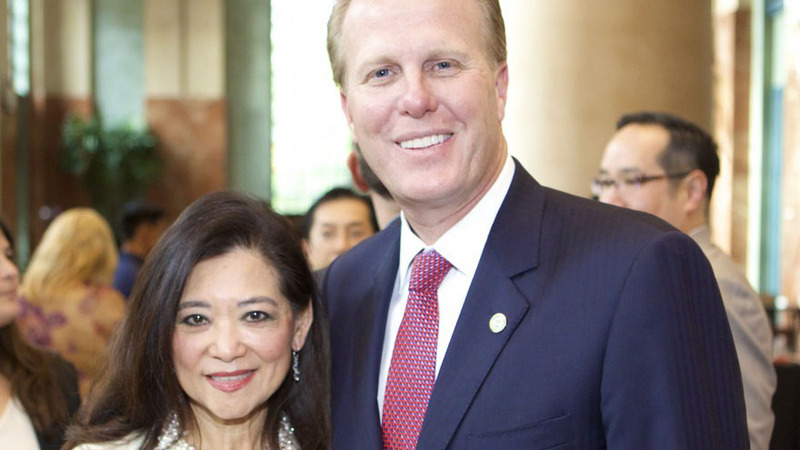 Also active in banks and Asian groups, Lew is a former member of the San Diego Port Commission and a frequent donor to local GOP candidates, including Mayors Jerry Sanders and Kevin Faulconer — and also to one-time Republican Nathan Fletcher in 2012. Lew is a longtime friend and supporter of ex-mayor Susan Golding, and has “close ties to the local GOP establishment,” said a San Diego Reader item in 2006. Ten years later, it said, Lew began investing family savings. Another real-estate figure — Donald Trump — will be at center stage Wednesday night when CNN hosts an 11-person debate at the Ronald Reagan Presidential Library in Simi Valley. Former HP leader Carly Fiorina will join the men vying for attention in the wake of Trump’s remarks denigrating her looks and former Texas Gov. Rick Perry dropping out of the race. A debate continues on the San Diego GOP’s Facebook page over Trump as party nominee, with Ben Carson finding fans here — and universal disdain for Hillary Clinton.